Otello – Beware, my Lord, of jealousy. this week I had something very special on my agenda. 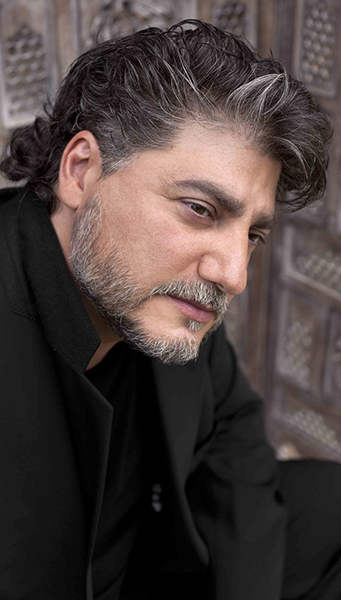 José Cura, world-renowned and celebrated tenor, honored Cologne and sang Verdi’s Otello (yes, this version is actually written without the H). The Opera takes us to the spot where the vengeful Iago plans a plot against Othello and his faithful friend Cassio. The reason for this intrigue was Cassio’s designation to captain of Otello’s guard. Iago took advantage of Otello`s deep love for his bride Desdemona and plays with his jealousy. It is shown how the rational ruler becomes an irrational animal, more and more poisoned by Iago’s games. Blind with jealousy, Otello no longer sees the truth and destroyes everything that was sacred to him . Self-knowledge comes – as in any good tragedy – too late. Eike Ecker sticked close to the production of John Schaaf. Only the venue of this classic event wasn’t that great. I’m just not a fan of Cologne’s „Plastic Opera“. You know, that ugly blue thing at the main station. The acoustics are simply disastrous. Originally thought of as a provisional arrangement it stayed for years and has already defaced several productions. However, this did not detract from the pleasure. We sat up front in the right pane and yet had a wonderful view to the beautifully designed stage. Large but without being opulent. Almost minimalist were the different stage levels and later the simple columns, which have been used for interior design. The orchestra pit was filled with all kinds of known musicians. Maestro Will Humburg did an impressive job as well. At the end of the performance one had the impression as if he had run a marathon. He was exhausted, but happy. No wonder, regarding the performance. The music contributed greatly to the listening experience. For more than four weeks, I had my playbill and spent the days just waiting for this one moment. José Cura took the stage. A mountain of a man with the broadest shoulders and a breath-taking resonating body. Yes, I admit that tenors are usually not among my favorite singers. My ears prefer solid Baritone or even real Base. But Mr. Cura manages to give me goosebumps. Maybe it’s the clarity of his voice or the absolute accuracy of the heights that I sorely miss in so many others. Speaking of miss. The bass-baritone Samuel Yeoung, to which I was looking forward too, unfortunately became ill this evening. His part was taken by Lucio Gallo, whom I indeed found vocally excellent, but facially totally miscasted. After all, Iago is described as a young and charismatic man. Two attributes that do not necessarily apply to Gallo. I was also impressed by Young Doo Park, which debuted in the role of Lodovico (and scintillated). And of course Nathalie Charles should be mentioned, who sang a confident, charming and absolutely winsome Desdemona. Next to Otello she seemed tiny and fragile, but that suited her peart perfectly. Despite the above-criticized poor acoustics, all singers transported their voices very well. In their duet Già nella notte densa from the first act you could almost grab the love between Otello and Desdemona. What an experiebce! Totally love this review! I was able to see Mr. Cura once and will never forget it. He has such an incredible voice. thank you so much for your comment. I’m glad you liked the review! Hope to see you soon again.